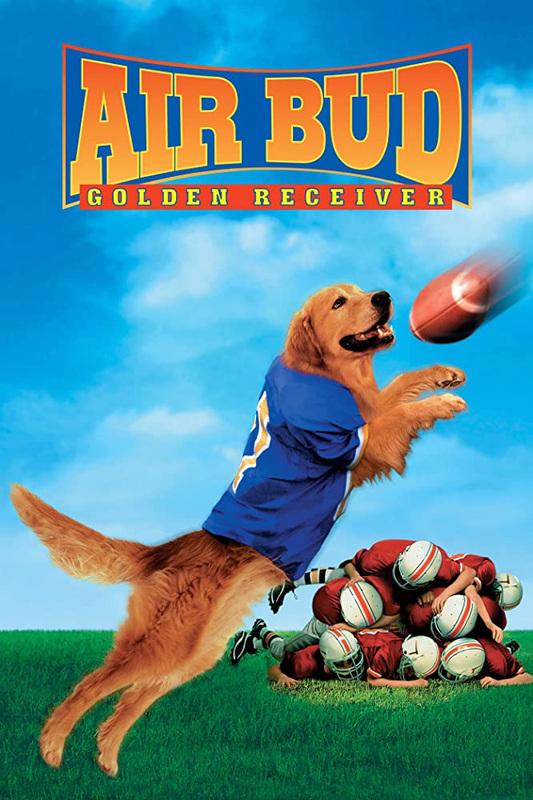 Sequel about the dog who could play basketball; now he turns his talents to football. With Kevin Zegers and Cynthia Stevenson. VIOLENCE/GORE 2 - Some violence played for laughs results in people being hit by objects: A couple are hit by a football, a couple falls into a pond after tumbling down a hill, a couple are covered with bloody fish intestines, a man sits on a porcupine, a woman is hit on the head with a skateboard and a woman is sprayed by a skunk. A dog is pounded and piled on several times during football games, and a dog is dognapped. A boy pounds his head on a locker. LANGUAGE 1 - An anatomical reference, and a few insults. DISCUSSION TOPICS - Stealing animals, running away from home, death of a parent, a single parent dating. MESSAGE - Believe in yourself and you can do anything.